Fashion designer Hubert de Givenchy has passed away aged 91, the founder of the House of Givenchy created dresses for actress Audrey Hepburn and US first lady Jackie Kennedy. Givenchy’s passing was announced by his partner Philippe Venet. The aristocratic designer founded his label in 1952 and he was a leading fashion designer in the prosperous post war period. He sold his label to LVMH Moet Hennessy Louis Vuitton in 1998 and was succeed by John Galliano, who was replaced two years later by Alexander McQueen. Givenchy’s most famous muse was actress Audrey Hepburn, who he met while she was making the 1954 film Sabrina. Hepburn wore some of Givenchy’s designs in the film and continued to wear his clothes both on and off screen for decades. Hepburn wore Givenchy designs in many of her films including Funny Face, Charade, Breakfast at Tiffany’s and How to Steal a Million. The ‘little black dress’ worn by Hepburn in the opening scene of Breakfast at Tiffany’s is one of fashion and cinema’s most iconic moments. Givenchy’s clothes were favoured by many celebrities including Elizabeth Taylor, Greta Garbo, Marlene Dietrich and Jacqueline Kennedy-Onassis. 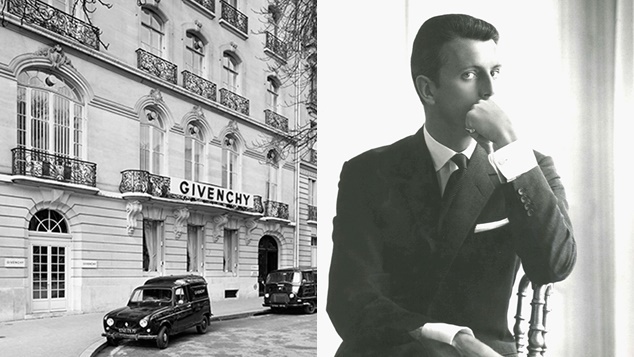 Today the fashion house he founded paid tribute, describing Givenchy as “a major personality of the world of French haute couture and a gentleman who symbolised Parisian chic and elegance for more than half a century”. “He revolutionised international fashion with the timelessly stylish looks he created for Audrey Hepburn, his great friend and muse for over 40 years,” the house of Givenchy said.